FOUNDATION SOLUTIONS AUSTRALIA is based in Melbourne’s south east and a manufacturing facility in Williamstown. We work hard to satisfy our clients and therefore, we will never compromise our quality to adjust the foundation of a dwelling with below par quality steel. Our wealth of knowledge and geo-technical experience allows us to design the best pile foundation solution at a cost-effective rate. Our client has always been our best advocate and for this very reason we will not compromise the foundation of a new or existing dwelling by using anything less than the best quality steel. A benefit of the piling option is the speed of installation and that the concrete is able to prepare and pour his slab immediately after our completion of works. This time saving allows the builder to shorten construction time resulting in cost savings. Sensitive locations such as neighboring property within close proximity are perfect for our pile driving alternative. Our vibration-free installation technology offers no risk to other property. This is an obvious benefit in today’s litigious world. In areas where the environmental impact is of a sensitive nature, our piles can be removed anytime int he future leaving no evidence of construction or footprint. 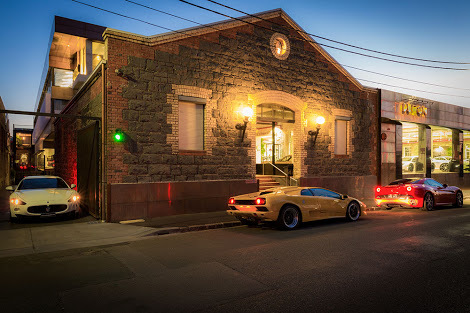 As a Pile Driving Contractor, FOUNDATION SOLUTIONS AUSTRALIA is proud to have been associated with the Basement retention works at the new Duttons Showroom In Richmond Melbourne (photo below). It is the most challenging project we have taken on and considering the complexity of the works we lived up to our name as a foundation solutions provider. We worked together with our client Red Box Developments to come up with the best retention pile solution for the extremely problematic ground conditions.